Kazuki Kato was appointed today as tourism ambassador for Taipei’s new tourism campaign. The 33 year-old singer/actor/seiyuu was appointed today, in an official press conference held today in Tokyo, as a tourism ambassador for Taipei’s new tourism campaign. Kato mentioned that “There are many good things in Taipei, their delicious food, historic buildings, but what impressed me the most was the warmth of the people of Taipei” (he first visited the municipality in 2008). 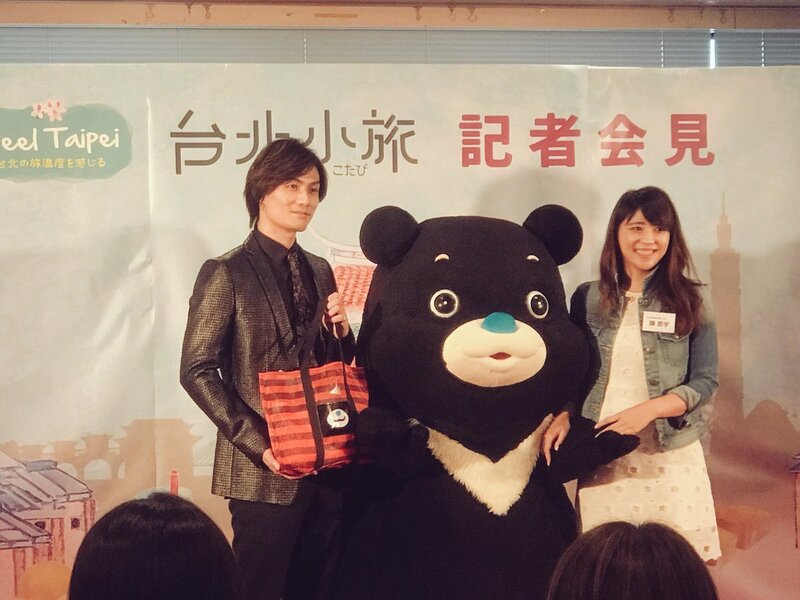 Kazuki Kato is now ambassador for Taipei’s tourism campaign “2018 Feel Taipei ~ Taipei no tabi ondo o kanjiru ~” that aims at attracting more Japanese visitors to visit their municipality.